This licence to re-copy does not permit incorporation of the material or any part of it in any other work, publication, or website whether in hard copy or electronic or any other form. In particular (but without limitation) no part of Expert Property Shop website, including but not limited, to photographs, property details, virtual tours and/or floorplans may be distributed or copied for any commercial purpose. You may not frame this website without the express consent of Expert Property Shop. 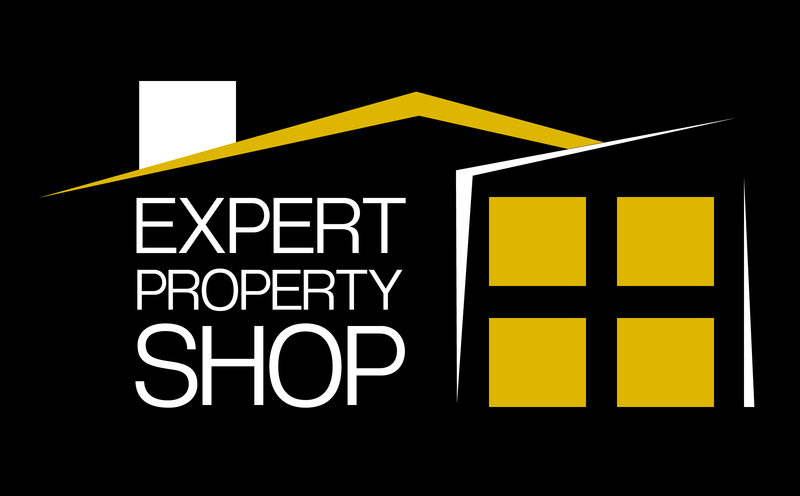 The Expert Property Shop logo is a trade mark registered in the name of Expert Property Shop in the UK and other parts of the world. Reproduction of this trade mark other than in order to view this website is prohibited. The Land Registry data is Crown copyright and is reproduced with the permission of Land Registry under delegated authority from the Controller of HMSO. Other logos and trademarks not mentioned herein should be regarded as separate entities and no assumption of rights to reproduce from our site should be presumed. Expert Property Shop takes all reasonable care to ensure that the information contained on this website is accurate, however, we cannot guarantee its accuracy and we reserve the right to change the information on this website (including these terms and conditions) at any time. You must therefore check these terms and conditions for any such changes each time you visit this website. Expert Property Shop makes no representations or warranties of any kind with respect to this website or the content contained on it, including any text, graphics, advertisements, links or other items. Furthermore, neither Expert Property Shop nor any other contributor to this website make any representation or gives any warranty, condition, undertaking or term either expressed or implied as to the condition, quality, performance, accuracy, fitness for purpose, completeness or freedom from viruses of the content contained on this website or that such content will be accurate, up to date, uninterrupted or error free. Nothing on this website shall be regarded or taken as financial advice. At Expert Property Shop we are committed to ensuring that your privacy is protected. This privacy notice, together with our Terms and Conditions and any other notice referred to in it, explains how we will collect your personal data and how we use your personal data when you visit our website. 2.HOW IS YOUR PERSONAL DATA COLLECTED? We will get your express opt-in consent before we share your personal data with any company outside the Expert Property Shop Group of companies for marketing purposes. The Expert Property Shop website and applications may automatically collect data about how you use our services in order to help us improve future functionality. We use Google Analytics, which is a web analysis service provided by Google. The cookies on the Expert Property Shop website do not track, collect or upload data such as your name, email address or billing information, but it may collect data about your equipment and browsing activities. We may collect and report on the adoption and usage of specific features, crashes and exceptions and other useful, anonymous metrics. Certain devices can detect your approximate location, via latitude and longitude. The accuracy of this data is not in the control of Expert Property Shop. If this feature is requested, Expert Property Shop will prompt you to provide your permission to access your location data for the purposes of providing you with results or directions based on your current location. You can disable location settings within your browser or app. Related Third Parties Alexander Hall Associates Limited Mortgage Brokers (where you have consented for us to do so). External Third Parties Service providers acting as processors based in the United Kingdom who provide IT and system administration services, anti-money laundering service providers (such as NorthRow), tenancy deposit administrators (such as the Tenancy Deposit Scheme) and services to enable us to perform our contract with you. If you are a tenant and we are helping you with the administration in moving, we will refer your personal information to Tenant Shop Limited which acts on our behalf to provide these services. Tenant Shop Limited may contact you about the other services that they provide if you consent for them to do so. Expert Property Shop is committed to operating its business in a transparent and open manner consistent with our legal and regulatory obligations. We are aware that the real estate industry is a target for organised criminals seeking to launder the proceeds of criminal activity. We always seek to prevent this activity by cooperating fully with the authorities and reporting suspicious activity to the National Crime Agency. Expert Property Shop commitments in respect of these policies are applicable to all of our customers, including vendors, buyers, landlords and tenants. As a result we obtain and hold for a period of at least seven years evidence pertaining to our customers’ identity and, where appropriate, we obtain proof of ownership of property and source/destination of funds. We will be unable to proceed with any work on behalf of our customers if we are unable to obtain this information. Customers’ identity will be subject to an electronic identity check, which may also include a credit check. Expert Property Shop is registered and supervised by HM Revenue & Customs for compliance with the Money Laundering Regulations 2017. If you would like to speak to us about how we handle your personal data, please contact our Data Protection Officer in the first instance at info@expertpropertyshop.com . You can also complain to the Information Commissioner’s Office who is the UK supervisory authority for data protection issues. Expert Property Shop was set up by Kevin McDonnell and Andrew Fullelove. Kevin and Andrew are landlords themselves and as such understand the needs of both property owners and tenants.